The item of package include 12 ivy vine. This is an artificial ivy vine,which is constructed of plastic material. Green plastic leaves,easy to clean,and remain green throughout the year. This artificial ivy vine will never die off,so that it can be a nice decoration for a long time. Suitable for bookshelf, wardrobe, shelves, shelf, air conditioning, refrigerator, etc. 1.Since these ivy vines are new, there might be some smell when you use it for the first time,so please make sure you do not mind before ordering. 3.Please allow 1-2cm error due to manual measurement, please make sure you do not mind before you bid. Hanging this ivy vine,it will be a beautiful decoration for your room. Deck your halls with the help of our artificial hanging Ivy vine. 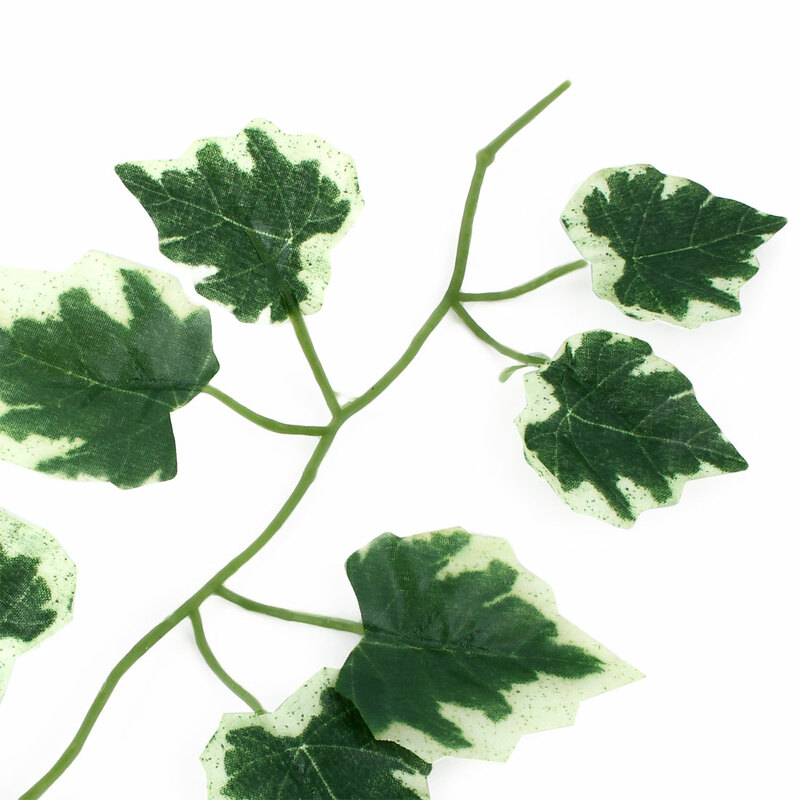 Our faux leaves vine are ideal to hang above the fireplace or as a wall decor in your living room. 100% brand new,high quality and never used. Each end has two connecting rings,its convenient for you to hanging this ivy vine in anywhere.